If you’re having one of those really bad days and you find yourself in a roadside predicament don’t stress, just give Outdoor Towing a call. 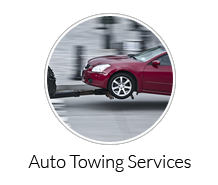 Outdoor Towing is a leading Downey towing service that prides itself on providing the fastest and highest quality towing services in the city. Our team is comprised of certified technicians and mechanics that have all undergone professional training and have extensive experience in our field. Our teams work 24/7 365 days a year. In our line of business we can’t work regular office hours, because emergencies don’t stop once the work day does. That’s why you can rest assured that there is always someone in the Downey area out there ready to help you if you are ever in need.Our mission is to make sure that you don’t have to wait around for towing services and that you get to where you need to be as fast as possible!Our teams are always on standby and as soon as a call comes in they are deployed to the site of the emergency. Our estimated time of arrival to all locations in the Downey area is thirty minutes! We have a team of car buffs that all love our profession and make a point to keep up with the latest trends and technology in our industry. We keep our vans stocked with state-of-the-art tools that enable us to provide our services in the field, in a timely manner. Your safety is a big concern to us and we do all that we can to ensure that we carry out our work to a high standard. 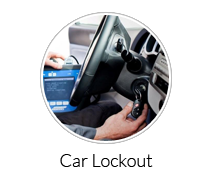 Our technicians will always present their ID, so you can be sure that they are from Outdoor Towing. Our phones are manned all hours of the day and night and we can give you a price quote over the phone. You will find that our prices are very affordable. So, if things aren’t going your way and you need help to get you back on the road just give Outdoor Towing a call and our experts will be there in thirty.